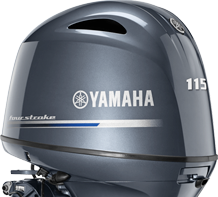 The 2140 Sport is also available in a shallow water tunnel version: 2140 Sport SB. Forward there is a rod locker, 30 gallon fish box and large dry storage box. The forward facing console seat has a 13 gal. livewell/baitwell and the backrest can be fitted with a 5-drawer tackle storage compartment. Between the 2 jump seats there is a 27 gallon livewell. Also shown are the 2 optional fishing seat bases. Aft there are 2 jump seats that fold down to form the fishing platform. The 2140 has a large fishing deck forward with ample rod storage and a 30 gallon fish box.